Sterling silver necklace rope link 60cm 24 inch with spring-ring (width 1.5mm) .925. 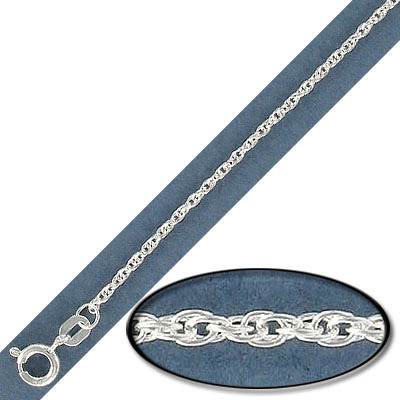 Frabels Inc.
Sterling silver necklace rope link 60cm 24 inch with spring-ring (width 1.5mm) .925. (SKU# NCTU3024/SSWH). Sold individually.